“The connected home platform we’ve developed with LG creates an even higher level of service richness and flexibility for the end consumer while improving the economics of service delivery for the operators,” said Steve McKay, CEO of Entone. 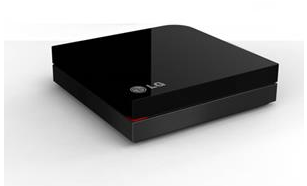 If the LG SP530 Media Player is anything like the SP520 then you should be able to transfer your ordinary TV into a smart one. * The collaboration adds more features to the LG SP530 Media Player, the ability to support of live TV, whether delivered over-the-air (OTA) or through an authenticated PayTV service. The SP530 supports leading OTT video services such as Netflix, VUDU, Hulu and YouTube. Industry analyst Paul Erickson thinks, “integration with LG’s Netcast platform is in line with the industry’s interest in utilizing connected consumer electronics devices as gateway clients”. However, LG or Entone did not say if they are going to integrate the solution in any other device, because the Netcast software is also use in LG’s smart TVs and Set-top boxes. * This is provided your TV has the necessary connection.